- Aleka Allen on 九月 27, 2017. On Thursday, September 14th, 2017, Fashion Ecstasy was invited to the preview party for the Rockwell Unscripted for Knoll Pop-Up Shop. Held inside Drechsel Studio (a leading authorized dealer of Knoll furniture) on King Street East. this party showcased a collection of thirty new furniture pieces that will be displayed in the showroom until October 30th, 2017. For those unfamiliar with the Rockwell Group, it is an award-winning architecture and design practice based in New York City founded by Tony-award winning architect and designer, David Rockwell. The collection featured an array of office furniture that is functional, innovative, architecturally grounded, and stylish. The party’s guests consisted of architects and designers mingling with other industry professionals amongst the new furniture collection. Disaronno and Tia Maria were the drink sponsors that night, and everyone enjoyed the party’s signature cocktail, the Disaronno Sour. Toronto’s Award-winning catering company, Food Dudes, wowed the guests with their incredible selection of hors-d’oeuvres. There was a busy lineup for the oyster bar, courtesy of Rodney’s Oyster House. Musical entertainment was provided by DJ NV and accompanying trumpet player who impressed the crowds with their nu-disco, funk, and top 40 music and smooth dance moves. During the night, guests moved to the courtyard when the temperature in the studio became unexpectedly cold, which led to the party ending rather early that night. 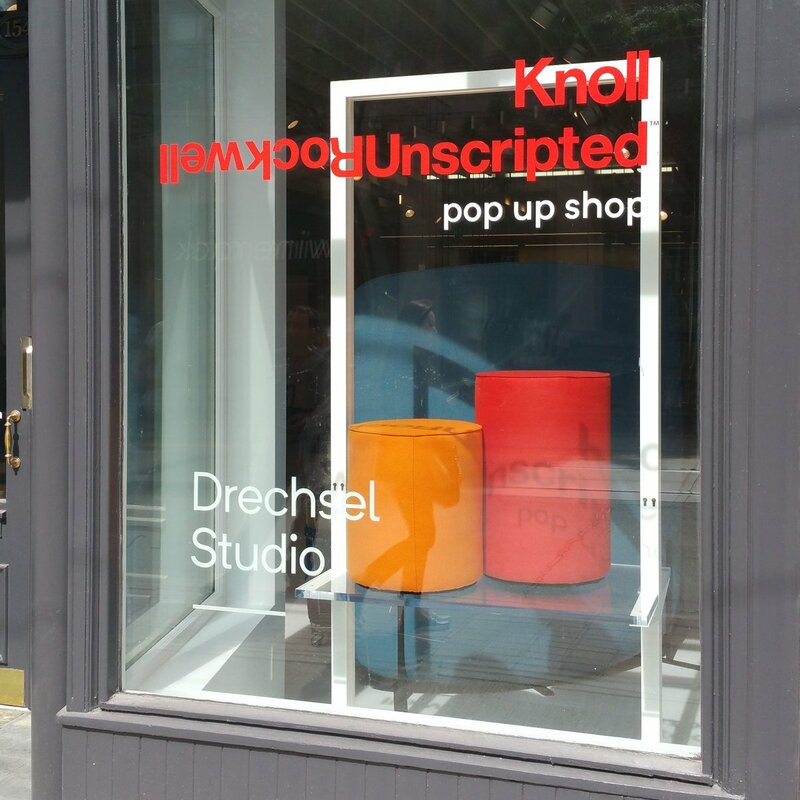 The Rockwell Unscripted preview party was a lovely way to celebrate the new collaboration between Drechsel Studio, Knoll, and the Rockwell Group.